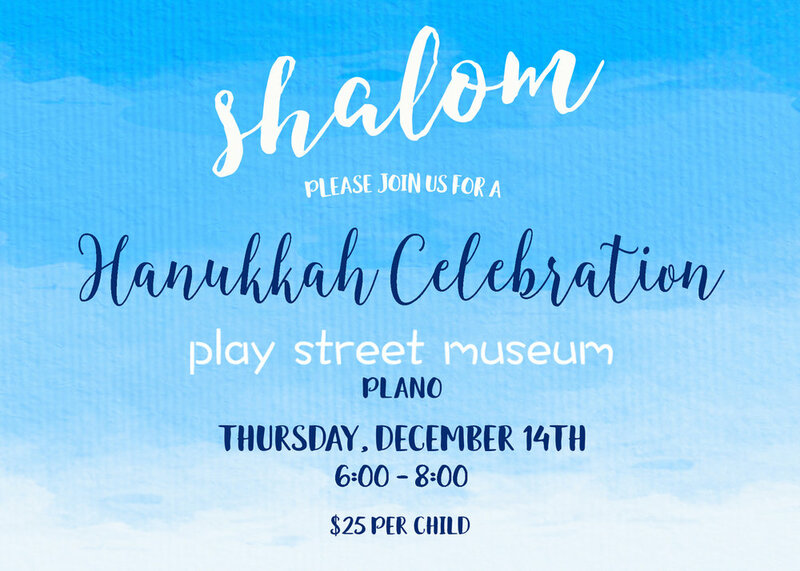 Grab a spot and join us at Play Street Museum Plano on Thursday, December 14th from 6:00-8:00pm for our Hanukkah Celebration! Families can enjoy stories, games, crafts and traditional Hanukkah treats such as brisket, carrots and potato latkes from Eatzi's and of course jelly donuts! **$11 per person. Please grab a spot for each family member attending over the age of 1, including parents & grandparents. Kiddos under 1 do not need a reservation.